Watching television while writing here! sounds cool! I should be sleeping now. Before I do that let me share this image taken during my vacation in Las Vegas, Nevada. I was there almost three years ago. It's over but I am now enriched by the memories, travel experiences and the many images that I took from this so-called "sin city". I wish to be backed in Vegas next time....maybe this year..who knows? Goodnight folks. Have a fabulous weekend! 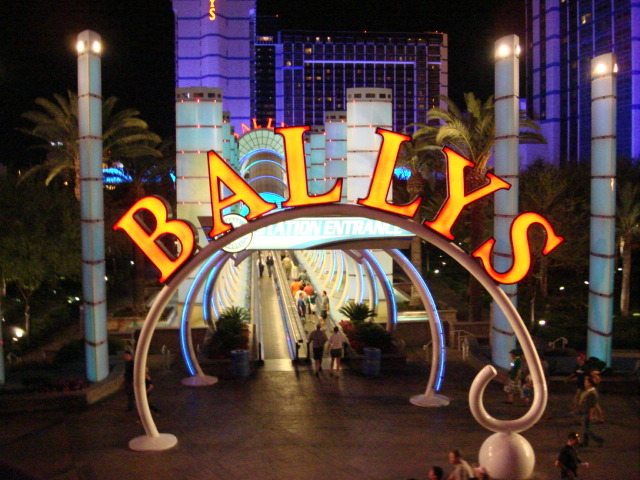 The entrance to the Ballys hotel and casino in Las Vegas Strip. I love walking around this place!